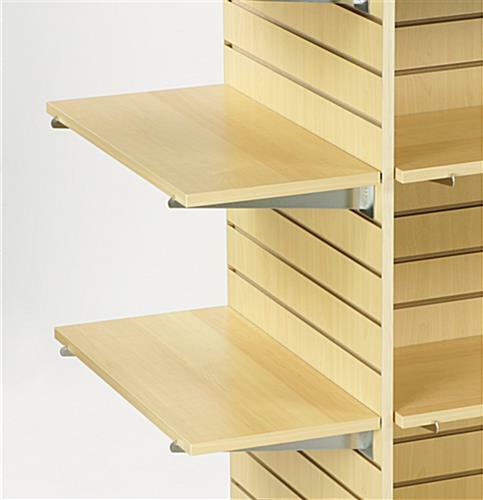 This Slatwall Shelf is one of the Many Shelving Options StoreFixture.com has Available for Purchase! Browse our Selection Today, Many In Stock! This slatwall shelf coordinates nicely with many of our slatwall fixtures. The shelving display, maple slatwall shelf is fabricated from sturdy, solid melamine. 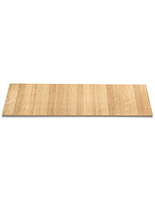 Its two flat surfaces and four straight edges are finished in a soft maple for aesthetics. 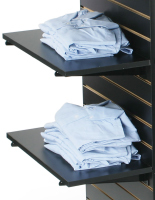 The slatwall shelf serves as a retail display for clothing, shoes, books, collectibles, and more! This slatwall shelf, such as our acrylic retail shelving and bullnose slatwall shelves, complements both the traditional or modern style of your interior décor. Each of the slatwall shelves measures a standard 12"d x 24"w x 3/4"h and sit on our 12" shelving brackets. 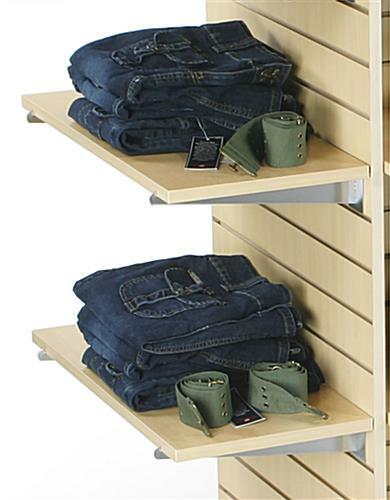 We sell this slatwall shelf as a cost effective retail display option for your various merchandise. 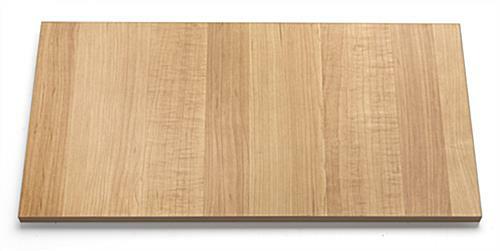 The slatwall shelf is a great addition to any of our maple slatwall fixtures. 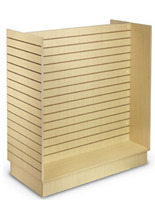 These maple slatwall shelves are sold in boxes of 5 and are available in additional sizes and colors. 24.0" x 0.75" x 20.0"